THE PVRITAINE Or THE VVIDDOVV of VVatling-streete. Acted by the Children of Paules. 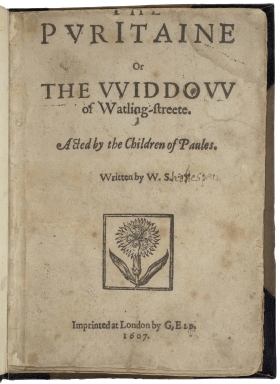 Title page imaged from Folger call number: STC 21531 copy 1. Image is not from the transcribed copy.